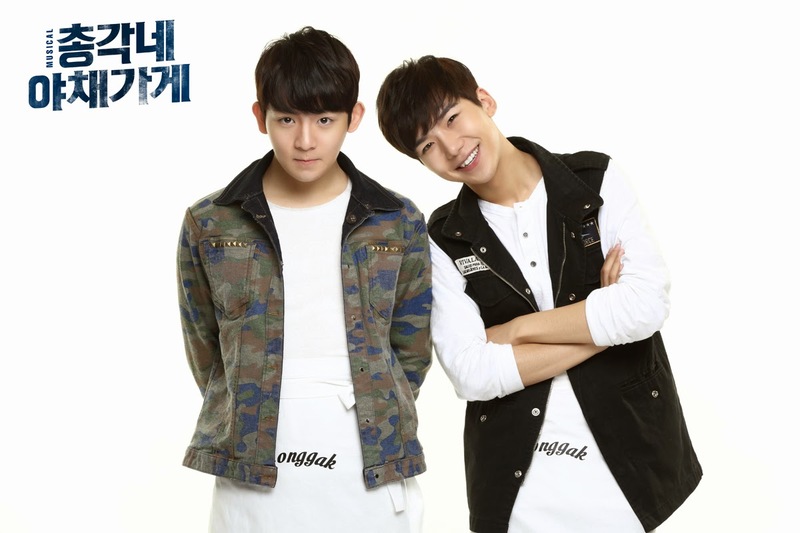 Teen Top's Ricky and 100%'s Rokhyun will appear on their first ever musical. According to the two idol stars' agency, the two have been cast in a musical 'The Bachelor's Vegetable Store'. 'The Bachelor's Vegetable Store' is a musical about hopes and dreams of youth, while Ricky and Rokhyun have been double cast for an innocent and cheerful character Chuljin. A production company of the musical stated, "Lovely and cute twenty-year-old Ricky is the right man for the role, and Rokhyun, who showed off his singing ability as a main vocal of 100% and has taken acting lessons steadily, is well qualified as an actor too." Ricky said, "As a mascot of the musical, I want to be loved by many people," while Rokhyun added, "I'm a little bit scared to expand into a new field, but I want to experience bigger stage, and I'll do my best."